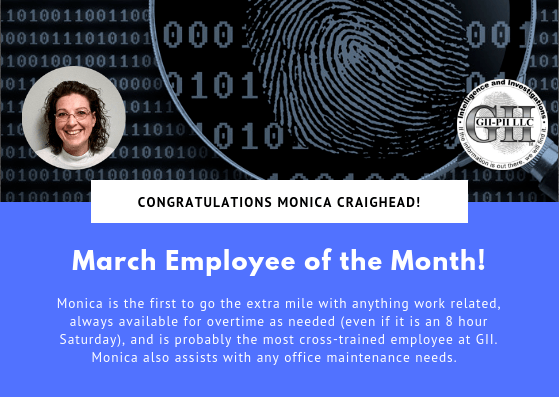 We would like to congratulate our Employee of the Month, Monica Craighead for March 2019! Monica is the first to go the extra mile with anything work related, always available for overtime as needed (even if it is an 8 hour Saturday), and is probably the most cross-trained employee at GII. Monica also assists with any office maintenance needs. 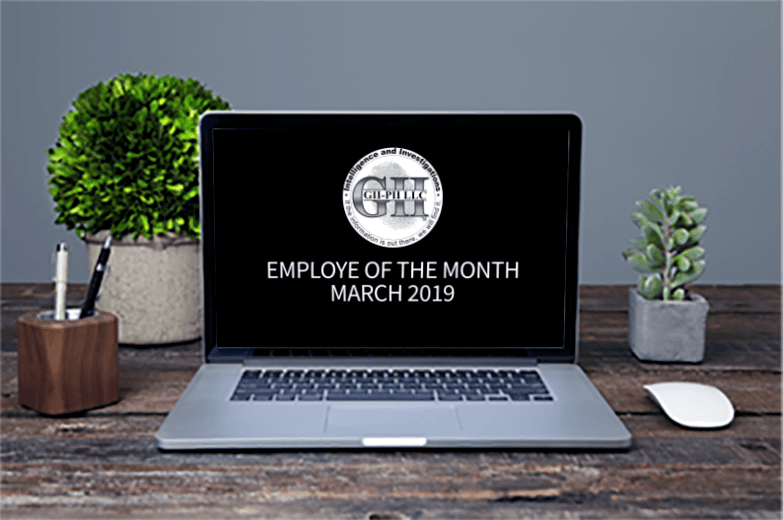 Each month, one employee will be selected for this recognition based on their work performance, dedication, and going the extra mile for the company. We are proud to support and acknowledge each of our employees at GII that demonstrate good work ethics and performance.